We have one more beta update (7.3.684) before we ship this as the stable update soon. The big change is the support for Microsoft's new Edge Insider builds. PS: We know we've been a bit quiet lately, we're working hard on the upcoming 1Password 7.4 update that's a huge undertaking for us, we'll reveal more details soon. The 7.3.661 beta update is mostly a bug-fix update to follow up on our major 1Password 7.3 update but we've added a few new features that we were working on as well, such as the ability to drag tags onto selected items or vis versa, drag items onto the tag itself. [FIXED] The field context menu in viewer didn't have a max height limit set. [FIXED] Removed drag and drop code from 1Password mini as it wasn't used in that view. I think there is something wrong with the Reused Password test? There is a Website login, and a password item. Both have the same password. Thank you for these great new features! The drag and drop makes it a lot easier to add items to some tags. I have noticed that there is no "finished message" for the Optimization tool, is that right? Maybe it's just me, but I'm not really sure if anything happend, as I clicked on the button. I think, maybe as well some information about what it did would be helpful, if there was any optimization needed. So nobody could say, "I made the optimization, why isn't it faster or smaller now?" And is it bulletproof? I'm a little bit worried to use it on my production vault, or is there made an backup before the optimization anyway? As for umlauts - where they are missing? Thanks for helping us making 1Password better! I'm not at my german machine right now, so I can't generate you a new report to just show it to you. But the new added sysinfo section captured the characters but couldn't safe them in the right way, so they are shown like %xyz, where xyz is a hex code (I assume). oh wow, I see what you mean @lumarel . 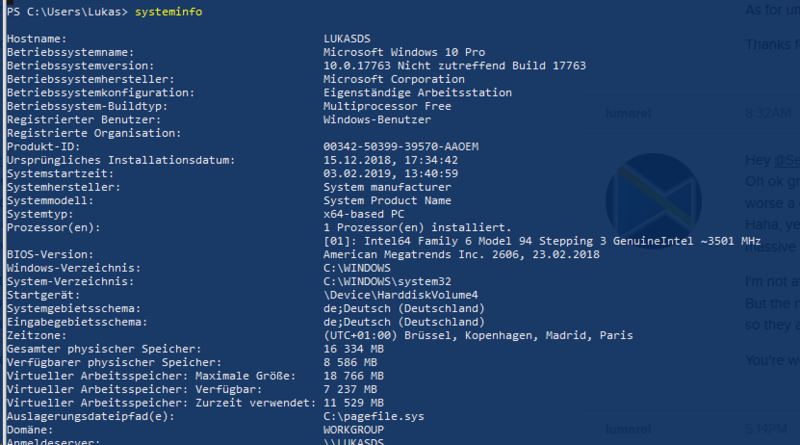 Good news this is part of system info we need least, usually we need Windows version numbers (I'm curious if there is any OS Manufacturer other than Microsoft there :D ), CPU model, system/user locales and networking/virtualization configuration. Ditto on the first click... I thought it was my loaded PC or something to do with the 'doing work while it opened up' again, but it definitely is better in this release! Okay, now, after closing the console after a few minutes of letting optimization run, and opening a new console, I do have a 'watchtower update' in the console. Let me run another optimize: and it seems to log nothing to the console. At least a note there when started and ended would be appreciated! Thanks for all the additions, and, yeah, this is still beta, we know. @lumarel: It sounds to me like @SergeyTheAgile has what he needs from you, so I'm going to cheat a bit here by just tagging him so he can tell me if I'm wrong. @cvvorous and @leesweet : Definitely not just y'all. We heard about that from a quite few folks over in the stable forum category, so you were very much not alone. Sounds like the beta fixes things for y'all on the click front, though, so that's awesome. Thanks for letting us know. @bundtkate Thanks for the update... any comments on the optimizer? No idea if it did anything or when it's done.... Something in the console at least would be perfect. Honest, @leesweet, that's a change that slipped by me. In 1Password 4, we had an optimizer that quite often would do nothing whatsoever. It was designed to correct particular issues and if you didn't have those it wouldn't do a darned thing. It's certainly possible that's the same here as I understand the optimizer was built specifically to address some troubles folks were having with slower app starts. I can say with relative confidence it's nothing you need to worry about if your app starts in an acceptably snappy fashion, but that's about where my knowledge ends. I just dropped @SergeyTheAgile a line to see if he can educate me as it's certainly something where I should be more familiar with the specifics. As soon as I know more, I'll drop a rundown here (or, because I tagged him here, perhaps Sergey will choose to enlighten us both). Either way, I'll get you an answer. Excellent, thanks! Even if it does nothing, a started/ended print in the console would be great. So, @leesweet, I actually noticed Serg sneaky (ok, maybe he's not sneaky and I'm just unobservant) noted what that does here. In short, it tidies up unused data from the sqlite database and, unless yours is huge runs essentially instantaneously. Chances are it did something regardless, but may not have done a ton. That said, I'll definitely pass along your feedback about noting it in the console, if we're able. @bundtkate Thanks for the info! As a sometime programmer myself, hate to not know that it did indeed finish. Looking forward to the next beta! Me too, @ttim03! I'll go find @SergeyTheAgile and make sure he gets back to work. Hey guys, I've just updated the original post, we've just shipped the second beta update with Edge Insider build support. We'll be shipping this to the stable channel soon. Thank you for the good news! As Mike noted above, this update is coming to the stable channel soon.